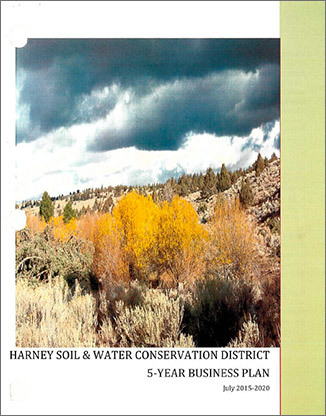 The purpose of the Harney Soil & Water Conservation District (SWCD) Business Plan is to serve as a broad outline to inform and guide its directors, employees, partners, stakeholders, and the general public to respond to natural resource concerns, internal and external practices, and other factors that influence our strategies and actions. This Plan outlines our current organization structure, presents key goals and strategies, identifies key natural resource issues facing Harney County and describes the services, programs, and assistance that we provide to customers. This five year plan discusses resource concerns in our County and describes additional programs, employees and infrastructure that Harney SWCD might utilized to address these issues. Finally, this plan is used as the basis for developing annual work plans and directing funding requests.